vehicles NXC2**H and the early vehicles for sale to customers had the legendary Salisbury Powr-Lok lockable limited slip center differential in the LT95 4 speed gearbox. manual 4 speed Range Rovers during the 1970s. say it was delivered against the end of 1970. Most probably maximum around 300 vehicles. 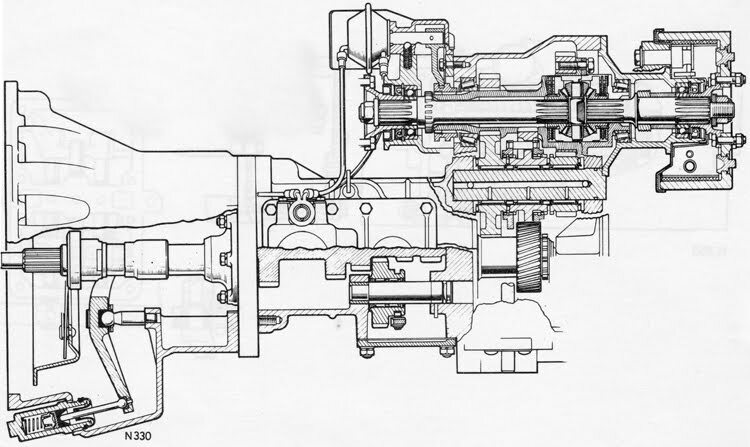 engine the transfer box was designed with permanent four-wheel drive via a third centre differential. axles had drive under extreme slippery conditions or if one wheel had no traction at all. 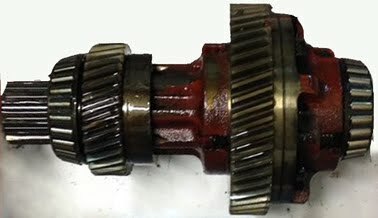 axles or in the LT95 gearbox. limited slip version differ from the later one without the limited slip function. 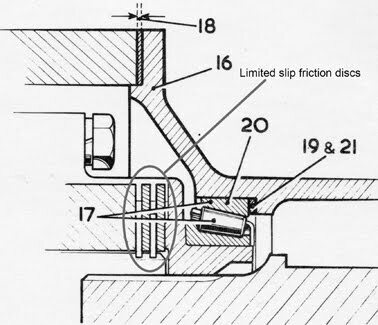 The vacuum actuated lockable center differential lock function are identical. road wheels revolve the same speed. 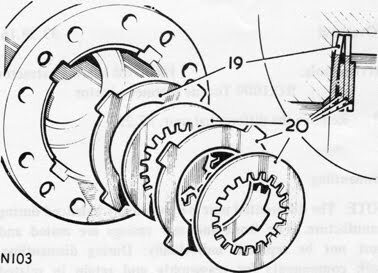 In Issue 2 from October 1970 the 'limited slip differential' was replaced by 'lockable differential'. 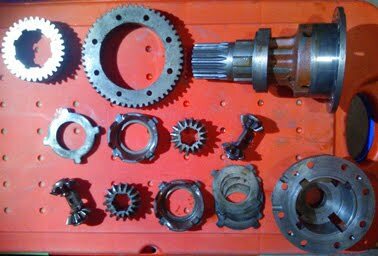 Transfer gearbox: BP Limslip Gear Oil 90/1 Castrol Hypoy LS Limited Slip Duckhams ? Why was the limited slip function discontinued ? which was low scale production, more seen on Formula 1-testing and Jensen FF in the 60s. The Ferguson Formula system is explained in detail here. both have the limited slip function as well as the lockable function to totally lock the center differential, the latter to have direct drive front and rear like the Land-Rover system and the US systems. farmer, engineering companies etc for with need for off-road driving or driving on rough roads. was used more than 99% on paved roads, often by people the never before had drove a 4x4. Later in 1970 the friction discs was replaced by distance discs. Maybe the need for better wheel traction was only needed on a slippery car-park at a sport event No longer with the limited slip function, reason described to left. sometimes got comments about gear whine noise and rather rugged agricultural feeling. a straight steering at speed. uncomfortable jerking in the driveline system. Also when driving at speed on slippery ground the car likely tended to get fish-tail feeling. have the space rings instead. Then the jerkiness and fish-tail feeling disappeared. 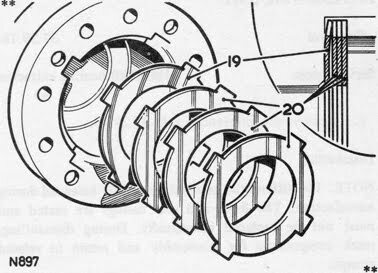 to get back to normal conditions were so short and solved by the lockable differential function. So it was decided that limited slip in the center differential gave more discomfort than extra benefit.